Hey everyone! 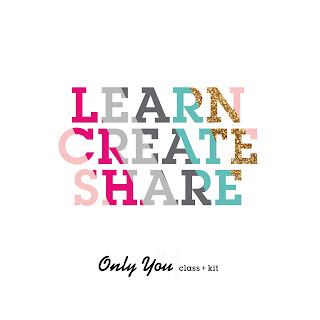 I am soo excited to share a new altered project AND a creative video with you today. My daughters might be 5 years apart in age but they are really the best of friends!!! They adore each other so very much. I was in their rooms the other day and realized that they don't have any photos of themselves together so I made it my mission to change that. The new Little Yellow Bicycle Hello Spring collection just happens to match my oldest daughter's princess room perfectly! 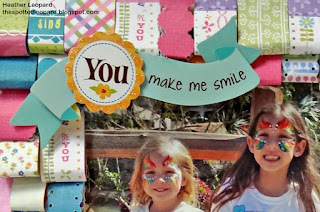 Here's what I created and make sure to tune in to the video posted at the end of this blog post to watch as I create this frame. I started out with a $1 frame from my local craft store. It seemed so flat and boring so I decided to give it a fun, multi-dimensional makeover. 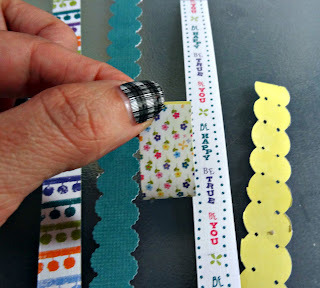 To begin, I pulled out all of the double sided 6x6 and 12x12 papers from the Hello Spring collection. I needed a good variety for what I had in mind. I then cut them in strips of varying widths. I kept some with straight edges and I used border punches on others. Once I had multiple strips from multiple papers cut and punched, I cut them into 2 1/2” strips, folded them in half (being careful not to crease them) and glued the edges together. I repeated this step until I had enough loops to cover my frame, which happened to be 84. You may need more or less depending on the size of your frame. 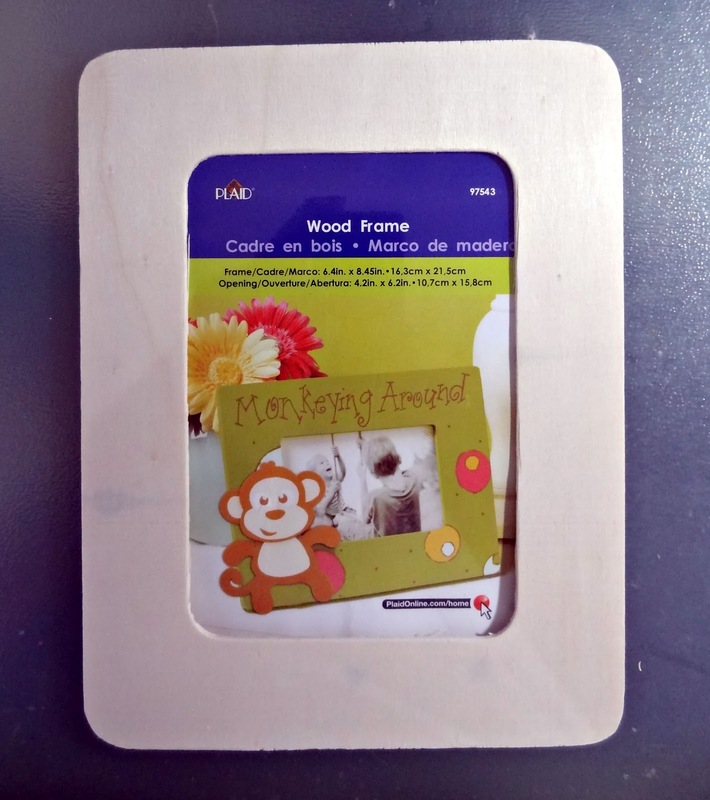 Be sure to also cut strips to cover the edge of the frame if you get a plain frame like I did. Or I guess you could paint it or leave it bare nekkid. Oh and what do you think of my nails? Have you seen the Sally Hanson nail polish strips at Target? 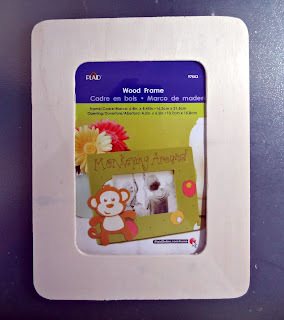 Once I had all the loops, I started gluing them down on the frame with regular liquid adhesive. I started at the bottom of the frame, placing them next to each other in a row. As I moved my way up the frame, I overlapped the 2nd layer slighter over the 1st and so on until I reached the top of the frame. I had to make sure that no two loops were the same right next to each other but overall this step was fairly quick. Next, I added the “You Make Me Smile” dimensional sticker to the top left corner and I added the Felt Sticker Flowers and Stick Pins to the bottom right to draw all the elements together. I saw some people post on the Little Yellow Bicycle blog on National Scrapbooking Day that they'd like to see the designers' creative process so I thought it would be fun to create a video of myself as I was making this project. I set everything up and recorded my every move from start to finish. I've edited it down to a quick 4 minute video. Did you watch it? Let me know what you think and if you'd like to see more of these for layouts, cards, altered, or whatever or if I should put an end to my film making career. Thanks for stopping by today! Make sure to head over to the Little Yellow Bicycle blog and leave me some love! This is soooooooooooo awesome Heather!!!!! I love how this turned out!!! And loving that photo of the two of them also!!! Tooooooooo cute!! 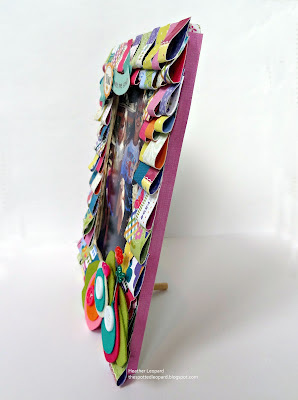 I have one of these frames and home and this is such a fun, colorful way to decorate it! Thanks for the idea! I'd call this one amazing total transformation, Heather! 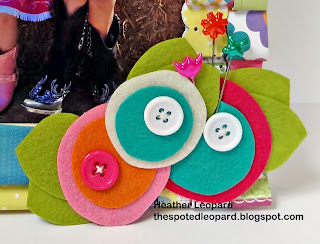 Love the looped PP and your choice of embellies! 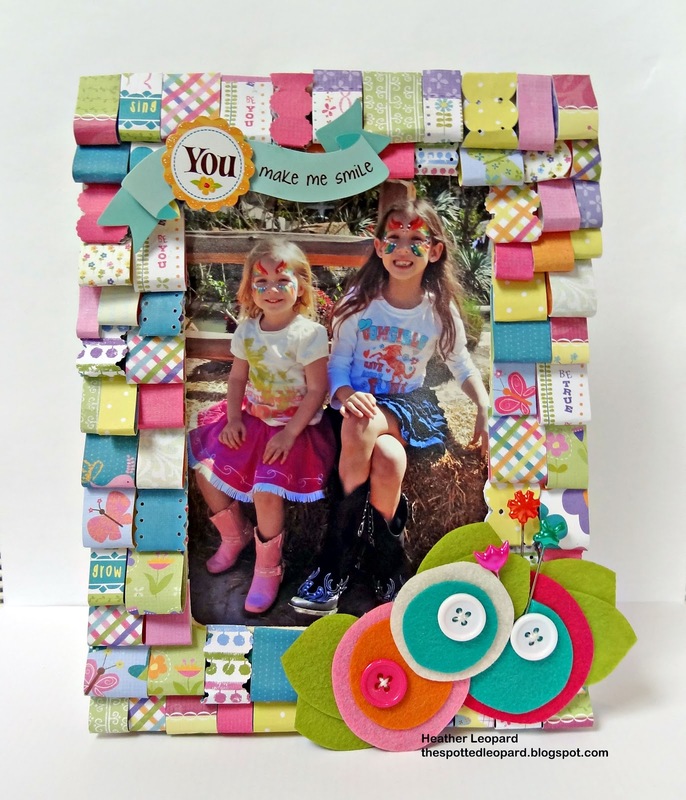 Wonderful altered frame! I love how you created your deminsion. This is terrific Heather! You should do more for sure!! Love your finished frame, too!! Great Idea! love the video, you did a great job making it.the frame is a great idea and I love how it turned out! I will have to try this myself! This is such a fun project. Love all the dimension. CUTENESS! This is so stinkin' cute, and so girly! Thanks for sharing! Have a great week! Heather what FUN, FUN, FUN...that frame project just makes me SMILE so big. oh my that is amazingly gorgeous and fun! I bet they love it!